A recent article in the Star Ledger is getting quite a bit of attention for revealing something the Civil Justice Institute has known for quite some time: we all pay for excessive litigation. The article, which takes an in-depth look at lawsuits filed by public workers, found that over $100 million of taxpayer money is spent on such suits each year. Those who were interviewed for the article identified various causes for the deluge of lawsuits. NJCJI president Marcus Rayner emphasized the role fee-shifting statutes play. These laws allow the plaintiffs in successful suits to have their attorneys’ fees paid by the defendant. But they aren’t just an issue in cases that the government takes to trial and loses, they put extra pressure on defendants to settle cases for more than they would typically be worth. “It’s well-meaning, but it’s run amok,” said Rayner. 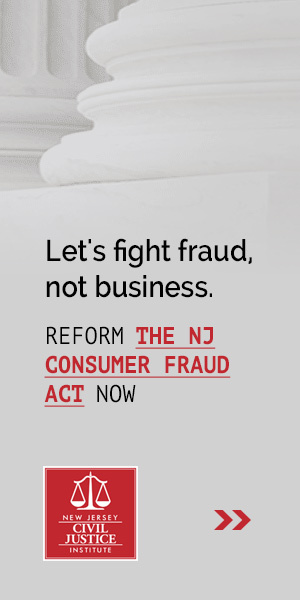 Reducing the number of fee-shifting statutes, or making sure they go both ways, has been one of NJCJI’s top priorities for many years. Thanks in a large part to our focus on educating lawmakers about the potential unintended consequences of fee-shifting provisions, we have seen a shift in how the legislature talks about such provisions, and a willingness to consider including more non-judicial enforcement mechanisms in new legislation. The $100 million bill tax payers are footing each year is a prime example of what can happen when laws that are intended for good get abused. There are a lot of common sense reforms that would cut down on legal expenses while still protecting employees, consumers, and the public. We are eager to talk about them with anyone who wants to make sure the foundations of our state’s laws are sound.